So I know a lot of the popular historical narrative about bronze and iron is inaccurate: bronze didn't give way to iron because iron was just all around better. Changes in weapon and armor technology had more to do with economics, trade, difficulty of getting the components for good bronze, etc. All this leaves me wondering, when were bronze arms and armor truly left in the dust by steel and iron? Would an army of late Bronze Age warriors (let's take Ewart Park Phase Britons, for the sake of argument) be steamrolled by iron and steel-armed Romano-Britons? Anglo-Saxon Housecarls? 12th century men-at-arms? Assuming this is one of those fantasy scenarios where we assume roughly equal numbers of men with similar levels of training, similarly high morale, similar quality commanders duking it out in open terrain, at what point in technological development does the bronze age army truly find itself at a critical disadvantage? How bad? What would it take in terms of numbers to give the Bronze Age army a chance. Hmmm interesting question. To give you a better answer perhaps you could give us more details about what equipment your hypothetical late bronze age army is using. Obviously they have spears and shields, but do they also have swords, helmets, and cuirasses? if so what percentage of the army has the full kit, and how many have only a spear and shield? How big are the shields? are they fighting in a phalanx like formation, or more as individual warriors? As they say, "It's complicated!" And we don't have all the answers, by any means. In another thread somewhere (maybe Armour Archive?) it was noted that bronze and other copper alloys were being used for armor right through the middle ages, into the Renaissance. And not just for trim or parade pieces. So it still worked. But as you say, a lot of that is due to infrastructure, logistics, tradition, etc. You just won't get a lot of bronze armor in an area where everyone is an ironworker! I have long had my doubts that iron came into use because copper and tin became harder to find, simply because the overall amount of bronze in production was far greater in the Iron Age. I suspect iron took over for weapons at least in part because of the need to field *armies*, rather than just bands of wealthy warriors who had no concerns over price or wait times for fine bronze weapons. Though of course the first iron weapons show up in high-end warrior graves! It also seems to me that there was almost no bronze *armor* in northern/western Europe until the Iron Age. Probably a lot of the helmets that are classed as Late Bronze Age actually were, but all the armor I've seen is just variations on the Archaic Greek bell cuirass, with different decoration. In any case, the percentage of armored men you list may be unrealistically high--from the Roman era most estimates run 5 to 10 percent of a "Celtic" or other non-Roman force having body armor, with a few more having helmets. The vast majority just have shield and spear. How well a force with Bronze Age equipment would fare against a later army probably has less to do with what metal their stuff is made out of than everything else. Bronze Age warriors simply never faced medieval heavy cavalry, for example. Romans beat Celtic opponents due to organization and training plus a much higher ratio of armored men in the ranks. But experienced and motivated warriors would be a force to be taken seriously no matter what they were wearing or carrying. (Doesn't mean they'll *win*...) My general take is that they'd be basically equivalent to most anything up through the Viking era--shields, spears, some helmets, a little armor. We know chariots existed, but not how many might be present in any battle. Once medieval armies become more cavalry-oriented, I think the Bronze Age guys will be at a disadvantage. NO infantry force wants to be out in the open on flat ground when a heavy cavalry charge is rolling in! Even pikemen would prefer to have a ditch or a lot of pits and caltrops in front of them. Obviously things changed very slowly, back then, but they did change. The reason was not always "This weapon is BETTER" in just one single respect. The problem is figuring out what those reasons were. Here is a paper by Alan Williams in which he examines or discusses some Roman and Migration Era armor. He notes that in some cases the quality of the iron was rather poor and that cold worked bronze could actually be better. It might help you in your search for an answer. Any book by Tylecotte will give you the metallurgical differences between items made from bronze and items made from steel. In general, the bronzes used for weapons and armour have similar properties to unhardened medium carbon steel. There was a period of almost a thousand years before steel weapons/armour started to outperform bronze ones. There are dozens of reasons why one army might defeat another. If they were listed in order of importance, weapons and armour would be down near the bottom. Before the development of gunpowder munitions, technological differences between armies had a minimal role in determining the outcome of a battle. If you are wondering if bronze-age people could beat iron-age empires, the Battle of Teutoburg is your aswer. Not the common occasion of having roman soldiers into an ambush, but a remarkable one for sure. It also seems to me that there was almost no bronze *armor* in northern/western Europe until the Iron Age. There is archaeological evidence for celtic and germanic helmets made out of bronze. The germanic one even helped to spread the myth that vikings wore horned helmets, but the helmet in question is far older than the viking age. Now, the reason of why iron came over bronze, besides what everyone knows about iron said superiority, it's how easily you can find iron resources compared to bronze ones. Even when we talk about actual Middle Ages, iron was used as material when bronze or simply lead was actually the best choice: cannons were firstly made of iron, then started being made of bronze in 15th century, who was far more superior. For firearms, I actually saw examples of bronze-made ones, but for some reason they felt of favour. Cannonballs were also made of iron before lead came. When I find references for bronze or copper made stuff, it's often fragile and expensive objects, like surgeon's equipments, astrologer's stuff and so on; Saint Albert Magnus records a method of making and working with bronze and brass, that inclines me to believe that bronze and brass-working was not as mundane as iron-working smithing. Bath tubs, goblets and many other objetcs made out of copper are usually recorded among richer people as far as Napoleon's time. Well, the Germans were using iron weapons, they were not actually a Bronze Age culture at that time, but I guess I see what you mean. Yes, frequently copper alloys were used decoratively, but Robert MacPherson and a couple other very knowledgeable people listed a surprising number of examples of *bronze armor* from well into the 15th century at least, both surviving pieces and listings from inventories and such. Obviously iron and steel were by far the rule! Certainly, just as the Romans used copper alloy helmets right into the 4th century AD. And *some* of those helmets from modern France and Germany, etc., do seem to date to the Bronze Age, while many are Iron Age. But I was mostly referring to cuirasses, a number of which are said to be Bronze Age but I don't think they are. Now, the reason of why iron came over bronze, besides what everyone knows about iron said superiority, it's how easily you can find iron resources compared to bronze ones. Availability is certainly a factor. It's just not the whole answer. I defer to Dan's expertise about the bronze age, so I'm just adding some speculative thoughts here. As long as it was mostly iron and not steel with enough carbon to harden the iron, the bronze swords where probably equal or superior to the iron swords early on I'm guessing ? Proper steel may have been produced more or less by accident when carbon migrated into the iron mostly by accident during forging of blades early on, and some iron/steel weapons might have been " hit or miss " hardened by quenching if only to cool the hot metal more quickly after working the steel on the anvil. Probably a lot of broken steel swords because they wouldn't have known about tempering or why certain of their " Iron Swords " became brittle or not hardened at all at first ? With trial and error they would eventually have figured out how to harden steel just right and at that time hardened steel swords would have shown true superiority to bronze or pure iron swords. As to armour, bronze would have remained viable and in use probably well after most of the weapons became made of iron of steel ? One advantage of bronze is that a broken bronze sword can always be re-mettled and recast as another sword, and this would have been a plus since the cost of bronze weapons may have been more material costs rather than labor costs: So recycling old bronze and copper must have been cheaper than smelting and alloying new bronze ? Oh, as to weapons technology affecting victory or defeat I agree that before fast loading and firing firearms differences in quality of weapons would have been a minor factor in determining the winner of a battle. Even in the 19th century you have Zulu armies winning against British single shot breach loaders when the Zulus attacked with sufficient number. The advantages really tilted strongly towards modern weapons with repeating firearms, the first gatling and maxim machine guns making headlong charges even by huge numbers suicidal. Where I can acess these lists? Also, when you talk about "bronze armor" you're referring to steel pieces covered with bronze in gilting-like process (like the one in the file below) or actual bronze made pieces? What dates these started happening? 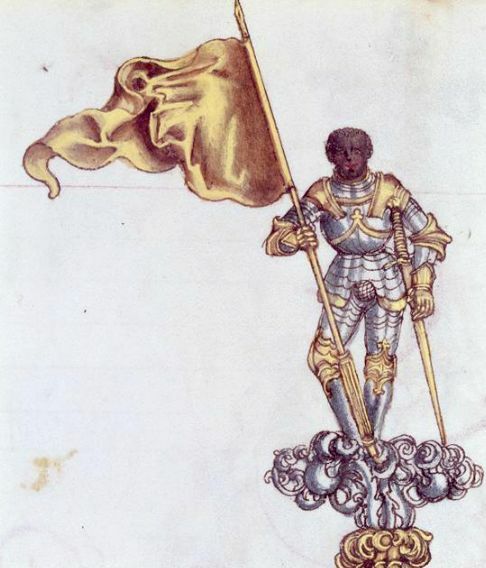 It's safe to assure that steel arms and armor were already known and common in Charlemagne's times? Steel was definitely being deliberately produced by Roman times. From what I know, they could not yet achieve the higher-carbon steels that we see in the middle ages, but it's still decent steel. Blades and armor both included some complex and well-planned metallurgy. Smelting and forging iron *always* results in some carbon content. Controlling that was the trick, of course, but the ancients were well aware of how different substances and techniques gave different results to metals of several types. There were even iron alloys that included sulfur and phosphorous as hardening agents, though nothing matched carbon for both hardness and flexibility. Unfortunately I haven't seen any good analyses of early Greek iron. I suspect they were able to achieve at least a decent high-carbon iron, if not what we might list as "steel". I imagine that quench-hardening steel was discovered when experimenting with annealing, since the latter would've been a process familiar from bronze smithing. Separately from how two similarly equipped warriors, one with bronze and one with iron, or two similarly equipped armies would fare against each other, there are a number of considerations that may have played a part in why weapon tech progressed as it did. Ability to hold an edge over time might make one material superior or more desirable to another, without regard to the outcome of the hypothetical comparison battle. Ability for a maker to enhance his products, leading to "fashion" considerations might also play a part. Economic forces acting on a blade producer, availability of materials, supply train & trade route changes, political shifts, could all be things that separately or in combination could trigger change in that progression. Generally things progressed toward superiority, as dictated by defining conditions......but change those conditions, and the older tech could emerge as superior. Something along the lines of "You know what would be great? If I didn't have to wait a half hour* for this to cool before I can check the outcome." YUP, a bit what I was thinking in an earlier post but the above is a very effective way of explaining it. Now depending on the amount of carbon, or if the carbon was only sufficient for case hardening a quenched blade could turn out to be hard and still not brittle, so that maybe by chance some swords would have been found to be greatly superior to most other swords. Also accidental or incidental layering of iron/steel of varying carbon content could produce a very good hardened steel sword nether too soft or too brittle, but it might have taken a lot of time before the early makers figured out exactly what was needed in materials and heat treat to be able to make good steel consistently. Now, lets say that a smith knowledgeable in both iron and bronze making made many too hard steel that was brittle and snapped in half when struck they might after quenching try to reheat a blade to anneal it ? One anneals copper/bronze after hammer work hardening it to soften it again to avoid having it crack and break, this would be true when hammering out a breast plate from a lump of bronze into sheet bronze. So making the analogy with bronze becoming brittle if work hardened too much, a smith might arrive at the conclusion that quenching the red hot steel was similar to work hardening it, and that reheating it would be the same as annealing bronze in effect: With trial and error the amount of tempering needed to keep the blade hard enough but not so hard as to be brittle might have been discovered. Lots of trial and error involved and experimenting with any human discovery: Bronze only happened when someone tried adding tin or lead to copper, and who knows how many other things where tried that ended up being dead ends and not working ? The speculation is getting a little wild, here. I don't think it's possible for a sword of the Early Iron Age to have a carbon content high enough that it *snaps* in use, or even cracks. Hardening through quenching may not be practical, either. Remember that a lot of swords, both bronze and iron, are found folded in half or rolled up in a circle. Those don't sound brittle to me. Remember that copper and tin were not the only metals in use in the Bronze Age: gold, silver, and lead, at least, were also well known, and all have different properties. So there's no reason for bronze workers to expect iron to be worked the same as bronze. They'd figure out a lot of basics pretty quickly. For example, if meteoric iron was utilized before smelted iron ore, it would quickly become obvious that it could not be melted and cast, but could be forged hot. Also, while a craftsman would never be too eager to waste a lot of effort unnecessarily, the people using these early iron swords were NOBLES, and were all about conspicuous consumption. High cost was a *benefit*. Know anyone today who shops for a cheap Lamborghini? Bronze swords were long gone before anyone was interested in large-scale production. Steel ingots were exported from India to Rome and north Africa in the very first centuries, if not before BC, either by boat from south India where they have a lot of iron ore, or via the Silk Road. The Silk Road seems to have been a myth. Most of the trade goods allegedly transported through that region by land were actually transported by sea. We know that pure bronze is harder and stronger than pure elemental iron, but how much variation would there be depending on the material actually used by early medieval smiths? Even putting aside the possibility that some smiths accidentally discovered case hardening or other methods of strengthening iron before their time, it seems to have been recognized that iron from certain places was "better" than others. Is it possible that some sources of iron did have just the right amount of slag or natural carbon in it to give it properties more comparable with bronze? Another possibility is that certain properties such as hardness just weren't seen as important to ancient and dark age peoples as we think they are today. iirc some sword examples from the early middle ages seem to have been left deliberately unhardened or made softer near the edge of the blade than in the middle. There is no pure bronze, bronze is an alloy.